Cloughanover Castle is about 2 miles from the village of Headford near the Galway/Mayo border. Not a lot seems to be known about the castle other than it was built as a stronghold by the Anglo-Norman de Burgo family in 1450. The de Burgo family also built Ashford Castle in nearby village of Cong. 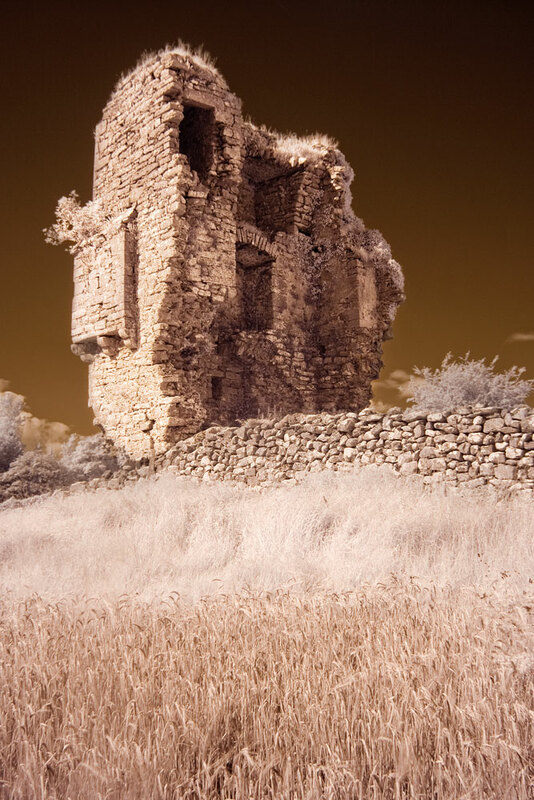 It is thought that Cloughanover Castle was destroyed by Cromwellian forces in the 17th century. The castle today looks like it has been sliced open with a knife though the remaining half is in reasonably good repair. The fireplace is very much intact and the latrines or ‘garderobes’ which were medieval toilets can be seen on the left wall of the castle.